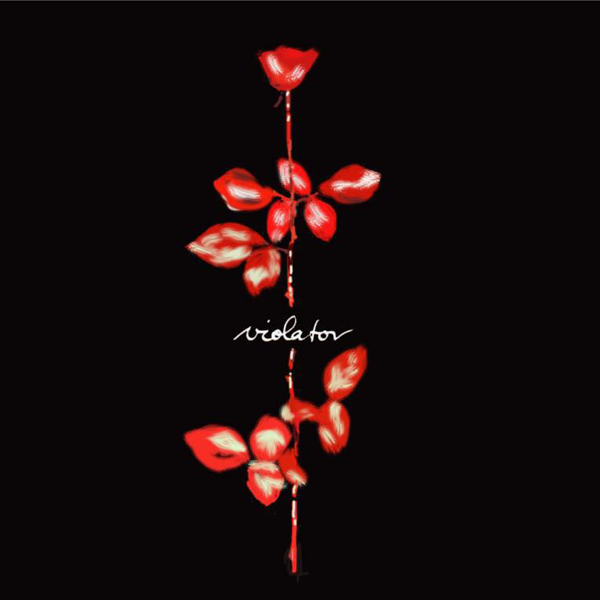 Lots of people can remember that one track or album that really signified their teenage years, for me it’s ‘Violator.’ Let me tell you why. Fast forward a couple of years and Depeche Mode release ‘Violator’ a week before my 17th birthday. It gets to No.2 in the UK charts and all the stars align. Friends start getting into the band asking me for mixtapes and I get to wear my own leather jacket à la Dave Gahan lead singer of DM. ‘Personal Jesus’, ‘Enjoy The Silence’, ‘Policy of Truth’ and ‘World in My Eyes’ – four great hits from a sensational album. Take ‘Enjoy the Silence’ for example – surely the greatest pop track of all time? Romantic lyrics forged upon 303 acid loops and delivered through a cracking Anton Corbijn video. Of all their tracks, this one really influenced me – it kickstarted my love affair with dance music, made me join a number of electronic music bands and pushed me to work for Ministry of Sound. Nowadays, you can spend hours on YouTube unearthing all these documentaries about your favourite bands. As I recently learnt, ‘Enjoy the Silence’ was originally recorded as a ballad that almost didn’t make it on the album. In a last ditch attempt to revive the track, producer Flood and Alan Wilder remixed it for the dancefloor overnight and played it to the rest of the band in the morning. The rest is history. Those kind of stories amaze me. I haven’t spoken about the other tracks on the album but they are equally fantastic, equally bizarre. You have to love the attention to sonic detail on this album and here’s why. Want to test your brand new sound system, car amp or stadium PA? Put this album on and press ‘play’ – it will sound #mazeballs. Ok I’d better wrap up now as I’m sounding too much like an hysterical DM fan. 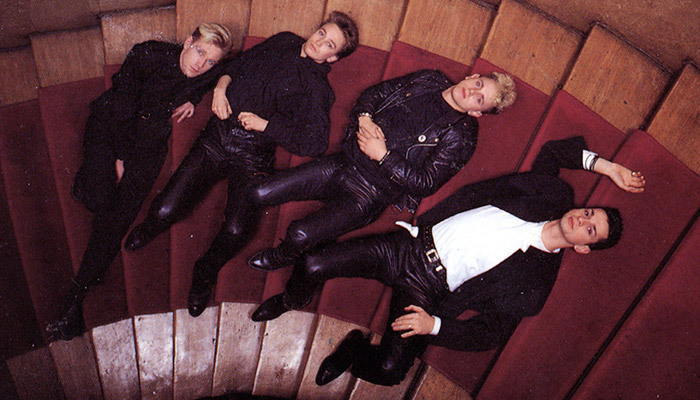 My interest in Depeche Mode sort of faded shortly after Alan Wilder left – I never really felt they were firing on all cylinders after ‘Songs of Faith and Devotion’. Still, I did have the good fortune of interviewing Alan a couple of years back but I never did summon the courage to thank him for album and explain how important it was to me. This month electronic pioneer, producer and ex-member of Depeche Mode, Alan Wilder releases his ‘Selected’ compilation – a summary of his best work as Recoil solo artist. I spoke to him when he was taking a brief break from his current European tour to find out more about the release, making music and if he has plans to work with ‘The Mode’ again. Hi Alan, you’re back with an album and tour. I have to ask: why now? Well, Mute Records approached me with an idea for a compilation and it was initially just going to be a quick ‘best of’ selection. But we then started to discuss releasing it on multiple formats and performing it live so the project got bigger and bigger. I think for an artist that’s always appealing to show all your work off in the best possible light and it’s been great to plough through all those old tracks again. Can you tell us a little about that process? First I had to decide which were my favourite tracks and which ones worked together. I really wanted to avoid a mish-mash which most compilations are. So this involved going through a lot of the old master tapes to pick out the best versions and even ‘baking’ some of the tapes in an oven to prepare them for digital mastering. The weird thing about this baking process is that I found a lot of these older tape versions sounded better than the digital masters I originally walked out of the studio with. When you’re recording you’re so paranoid of preserving the sound in your head that you normally discard the taped archived version because it always sounds a bit different than digital. But when you take a break and listen to tape again you realise it’s better – it actually adds something to the music. So hopefully the tracks on the compilation sound better than the versions of the original albums! Have you ever been tempted to stay 100% electronic and not use performers in your music? Well, even the early Recoil music isn’t really electronic music. It’s just samples looped around and around and put together in a different way. And I’m still doing that now. I’m using all this technology but using it to reprocess human live performance. That’s what really interests me and why I often use gospel and blues performers. They often deliver the rawest, most emotional music you can get and when you combine that with the digital process you get something very special. If it was just electronic I think I’d get bored of it. So you never been interested to release a quick and dirty drum and bass track? Do you think it’s easier to create good music now with today’s technology? It’s easier to create records in your bedroom, sure, but even though technology might give you many more options, you’ve still got to have the ideas. Technology can almost be restrictive in that way. The ‘perfection’ is in me so that means I want to explore as many avenues and options to get the very best. But today, that can just take longer, before you had limited choices. You have to be careful not be caught up in technology. You have to try to leave out all the crap and get to the core of what is really important. Has your set-up changed over the years? No, I’m sort of heathen in that respect. I tend to get a set up that I really like and stick to it. Even though I like the experimentation involved in new tools I don’t like the learning curve you often have to go through which might, in the end, have limited value. So I have direct audio recording for sampling in sounds and then use Logic, Ableton and then ProTools for mastering the sound. And that’s it – along with a few bits of analogue hardware which I’ve not updated. Do you think it’s easier for an artist to connect with their audience with the social tools that are available? You would be stupid not to connect with your audience more if you have those tools available. I think you see a trend now where the artist is more in control of communication and then dictating to the label what they want to do. The record label should be there to offer advise and support for the marketing of your record, not dictating to you. It might vary from artist to artist but I’ve always tried to embrace online because, frankly, it’s a struggle to promote your music if you produce music like me. Well, it’s even hard to keep up with all of that. I get a lot of people recommending that I should do this and that, especially when a new gadget hits the market. Before you know it you’ve got to upload to 20 different locations in 20 types of media. So, I’m lucky because I’ve been approached by fans who can help with this – so I always try to cultivate those relationships. Have you enjoyed preparing these tracks for tour? Yes, very much so. It’s what I used to enjoy with Depeche Mode – the whole pre-production aspect before touring. You really have to use your imagination to predict how these studio tracks are going to sound in a live environment. So that’s why we’ve been digging through a lot of the remixed versions so we can put something together that is recognisably Recoil but doesn’t sound like any of the records. It’s all going to sound like one giant remix. What can we expect from the UK gig on April 25th? We might have Daniel Miller and Daniel Jones but that’s still very much TBC. I’d like to get him to do a version of ‘Warm Leatherette’ but we’ll see. But Atomiser will be there. How did it feel to play with Depeche Mode after almost 16 years at the Teenage Cancer Trust gig? It was unnervingly familiar in many respects, as if I had just played with them the night before. But at the same time it was really overwhelming, to remember what it was like to be in front of such a big audience again. And then when I went out and watched the show I could see for the first time why the band is so appealing. I’ve never seen them perform before. When Dave moves and the audience reacts – it really is quite powerful. 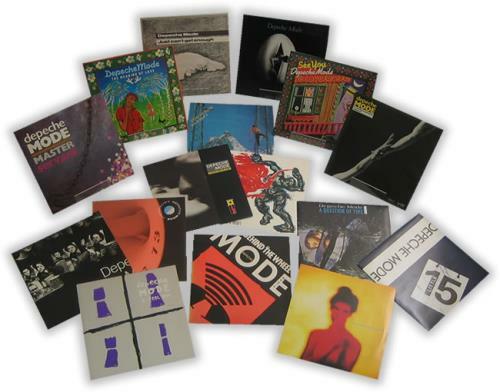 Is there scope for doing more in the future with Depeche Mode? Well, we’ve not discussed anything like that so there aren’t any plans. But you never know. And after the Recoil Tour? I’m going to watch the world cup. That’s essential, being a QPR fan, but we won’t talk about them at the moment. And then it’s back to the new material later in the year.